About a month ago, Google announced the global roll-out of an update to the AdWords algorithm that increases the value of landing page relevancy and quality when determining Quality Score. Google predicted with these changes, some campaigns would see variations in keyword Quality Scores and ad positions, but most would not see a significant change in overall performance. At Marin, we decided to investigate. We sampled a population of 240 accounts across our Marin Enterprise client base that had limited average bid movements, consistent keyword counts, and consistently received greater than 1,000 impressions per day. For these 240 accounts, we examined the daily impression-weighted Quality Score at the publisher account level. 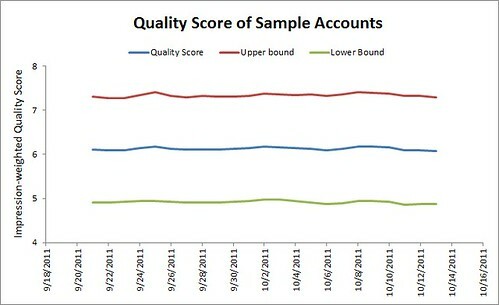 From the sample accounts, we observed 12 accounts with an increase in Quality Score greater than 0.25. 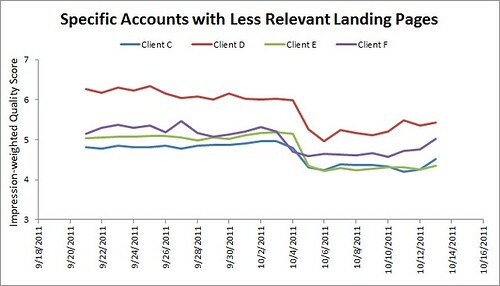 When taking a closer look at two of these accounts, we see the spike in Quality Score occurred on 10/2/2011 – 10/4/2011. Furthermore, there was little change to Click-Through Rates during this time, which suggests that the increase in Quality Score was related to the quality of their landing page. We also identified 15 accounts that had a week-over-week drop in Quality Score of 0.25 or more. 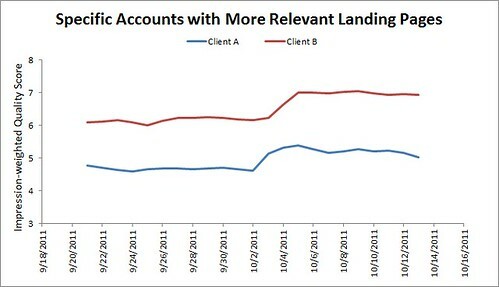 After further investigation into four of these accounts, we see the drop in Quality Score took place between 10/2/2011 – 10/4/2011, with minimal change in Click-Through Rates, indicating these accounts had landing pages that Google deemed to be less relevant, adversely impacting quality. 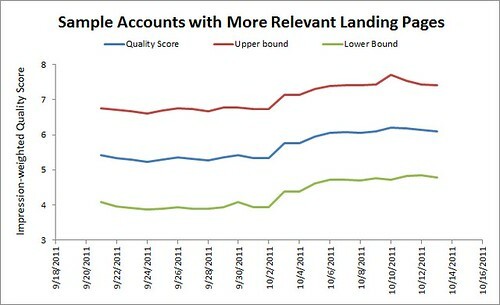 The updated AdWords algorithm has had limited impact on Quality Scores. 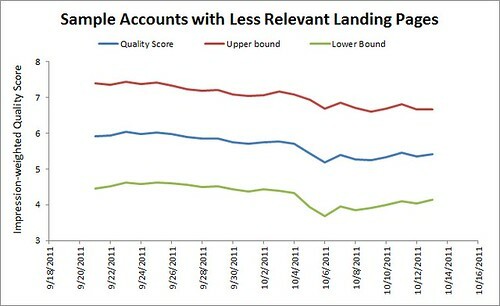 Only about 11.25% of Google Accounts saw their Quality Score change by more than 0.25 as a result of the algorithm change. If you did see a decrease in Quality Score during the 10/2/2011 – 10/4/2011 timeframe, with little or no change to Click-Through Rates, consider improving your landing pages to account for this change in Google’s algorithm.